When booking accommodation, I always look for a place that can also work to be a bit of a story as well. When researching Amsterdam, I decided that I wanted to write something a little bit cliche in the marijuana culture for Vagabundo Magazine. 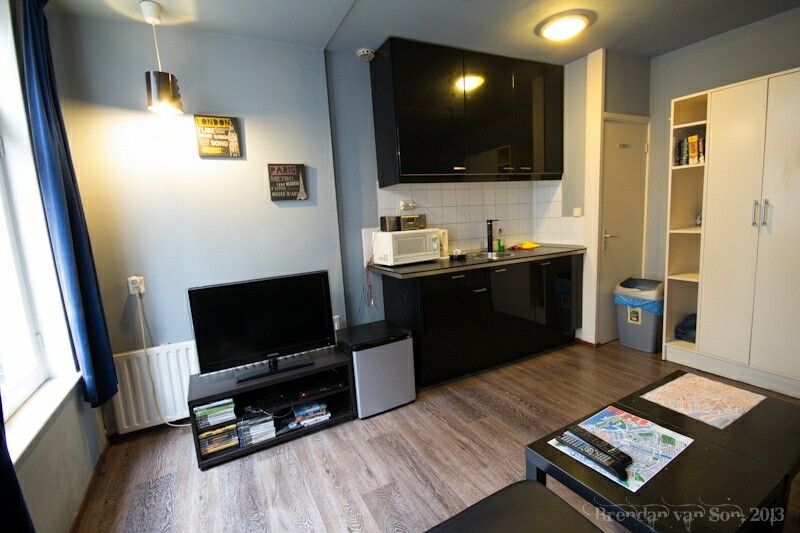 Thus, I searched out for a “smoker-friendly” B&B, and I ended up connecting with a place called Amsterdam Cribs B&B. If there was ever a poster child for the “don’t read a book by the cover” mantra it’s likely the Amsterdam Cribs B&B website which would make you feel as if you’re about to stay in a hazy room surrounded by reggae music and some guy passed out on the couch. The reality, however, is much different. The Cribs have incredibly nice rooms that are very looked after by the owners, as are the guests. 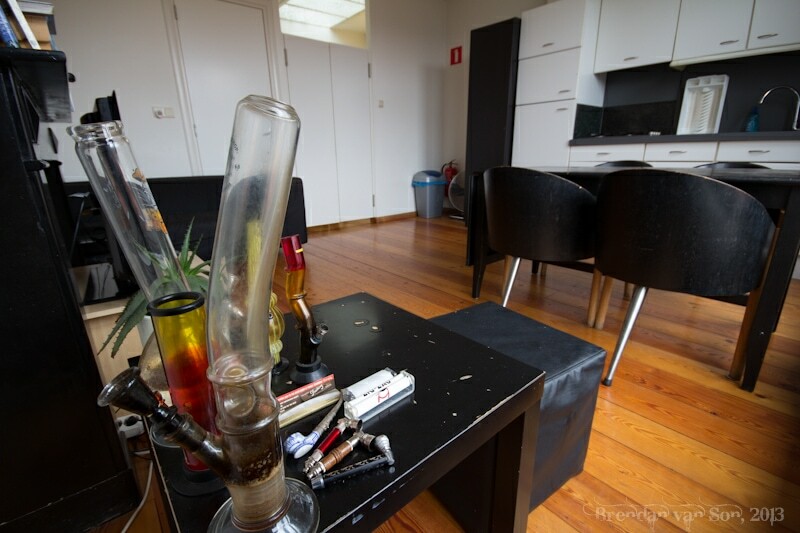 Rather than the hazy B&B one might expect, the Cribs are actually quite modern, dare I say elegant, rooms in the heart of Amsterdam with awesome set ups including kitchens, big screen tvs, and of course some marijuana paraphernalia such as bongs and pipes. The location of Amsterdam Cribs B&B really couldn’t be any better. 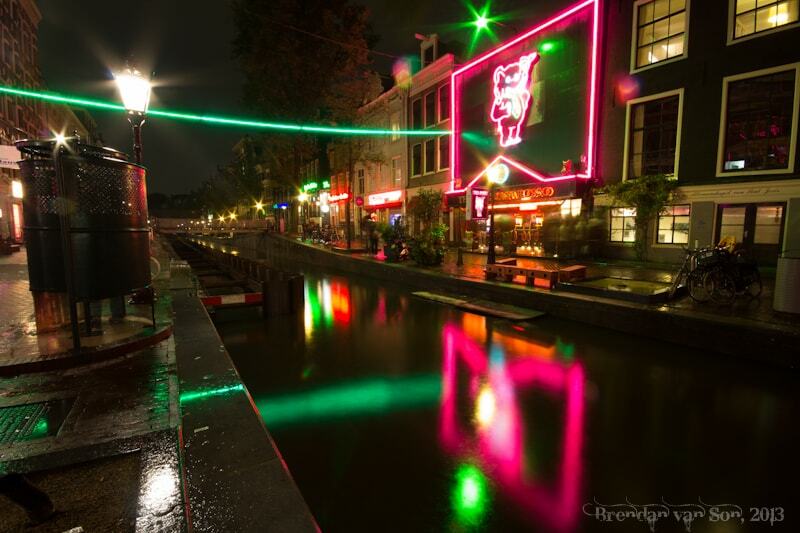 It’s on a street just off one of the main canals in the heart of the Red Light District. Moreover, it’s on a fairly traffic-free street so there isn’t a lot of street noise during the night. You are about a 10 minute walk from the train station, and as mentioned you can step out of your door and you’re right in the center of the action. If you’re more into the cultural side of things in Amsterdam, you’re not far from things like the museums or the markets either. Obviously, the target clientele for the Cribs is likely the 20-30 crowd who are looking to fully enjoy the Amsterdam nightlife and want a comfortable place to base their adventures. It also offers these people a safe place to smoke, which is a massive appeal to a lot of foreigners. 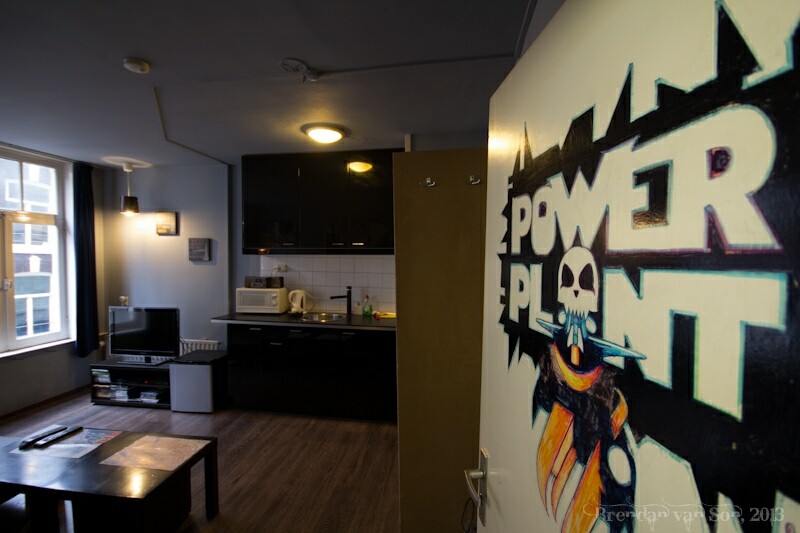 However, I personally think that certain rooms, like the ‘Power Plant” where we stayed, are a perfect set up for families looking to find reasonably priced accommodation and the ability to use a kitchen. Although, sure, they might want to hide the marijuana paraphernalia. With all said, we checked out quite a few of the different rooms at Amsterdam Cribs B&B when we were there and all were pretty fantastic. I kept saying how I was surprised at the quality of the rooms. Again, I was a victim of judging an accommodation by their website. 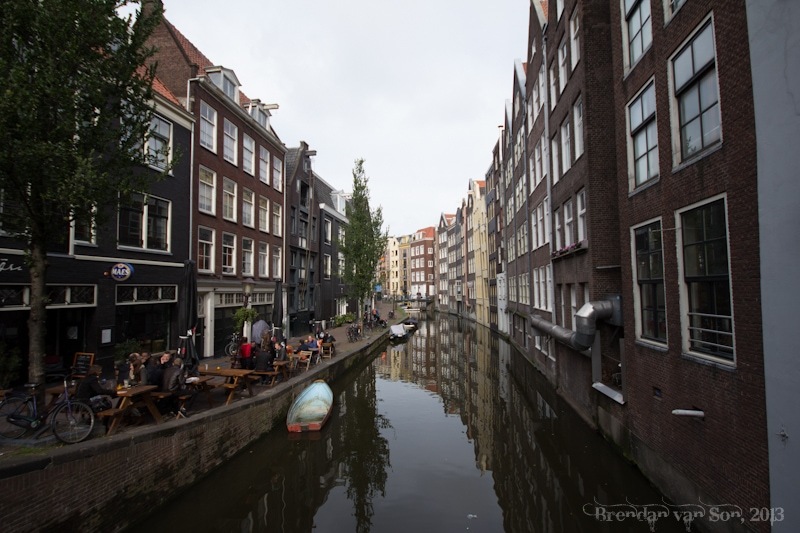 The truth, however, is that I would highly recommend Amsterdam Cribs to anyone visiting the city, regardless of whether they were hoping to engage in marijuana use or not. Hell, I’d recommend this place to my parents. To check out Amsterdam Cribs B&B, or book a stay, visit their website here. This was an interesting post. I would never have thought to stay in a place that advertises itself in such a way, so thank you for opening up my mind.